*NO PURCHASE NECESSARY TO ENTER OR WIN. Click here for Official Rules. 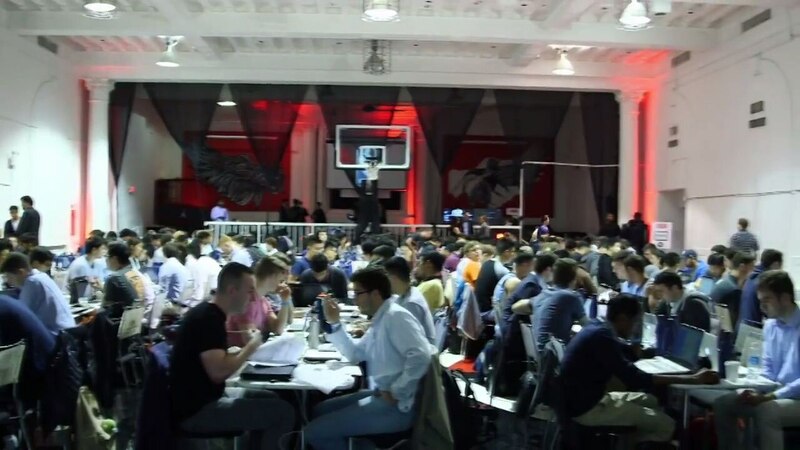 On Sept. 24, 2016, the NBA hosted its first-ever Basketball Analytics Hackathon at Terminal 23 in New York. 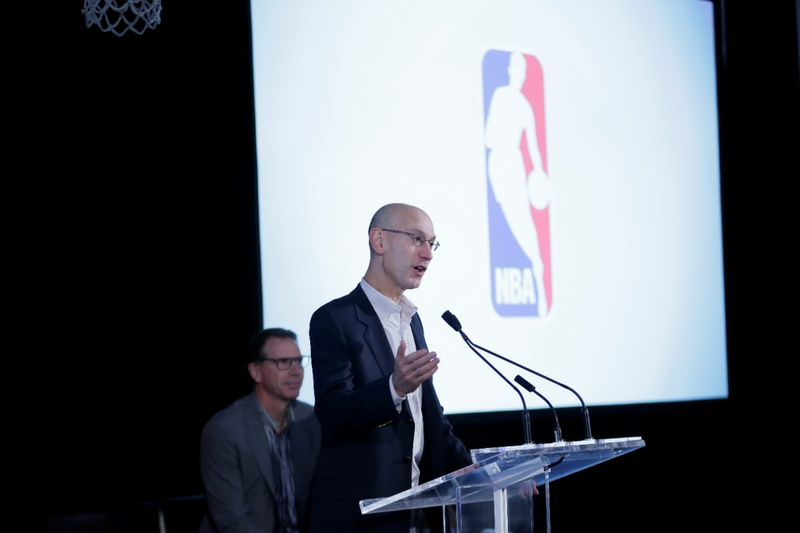 210 students from across the United States and Canada competed for prizes including a lunch with NBA executives, the chance to play basketball at Terminal 23 (featured in NBA 2K17), as well as thousands of dollars in credit to the NBA Store. Before the competition tipped off, NBA Commissioner Adam Silver, NBA Executive Vice President of Basketball Operations Kiki VanDeWeghe, and New York Knicks Legend John Starks all shared their unique perspectives on analytics before NBA Director of Basketball Analytics Jason Rosenfeld introduced the topics of the day and got the competitors started on their projects. Commissioner Adam Silver addresses Hackathon competitors before the competition. 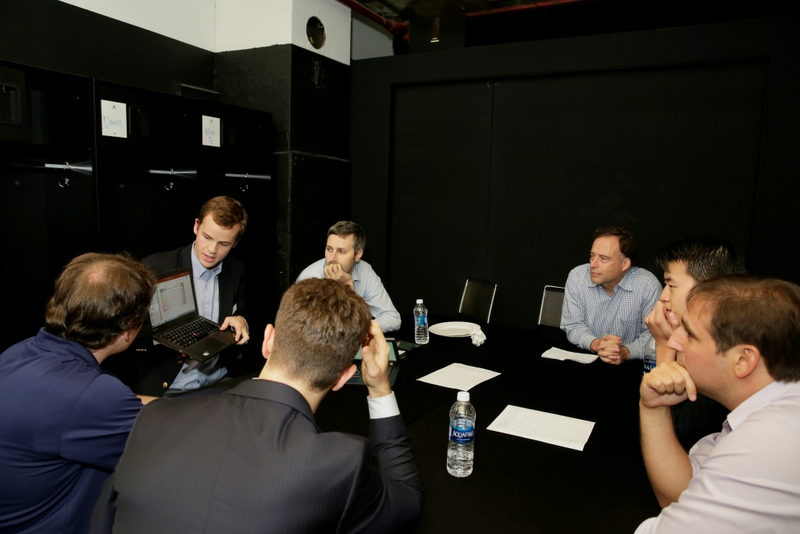 As the competitors worked to create solutions to the prompts, they also met with the 20 NBA team personnel in attendance. Throughout the day, the participants were also treated to a lunchtime talk and Q&A session from Boston Celtics Assistant General Manager Mike Zarren and a dinnertime discussion with former NBA All-Star Shareef Abdur-Rahim. 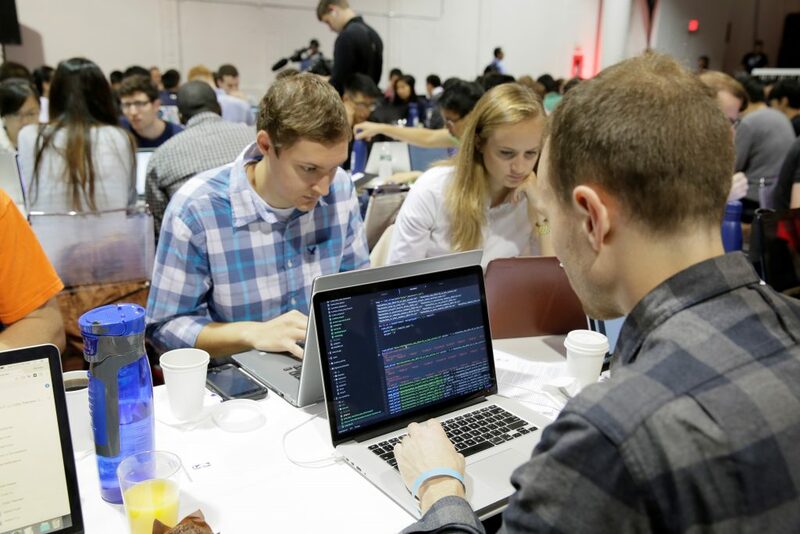 Competitors work on their projects at the Hackathon. 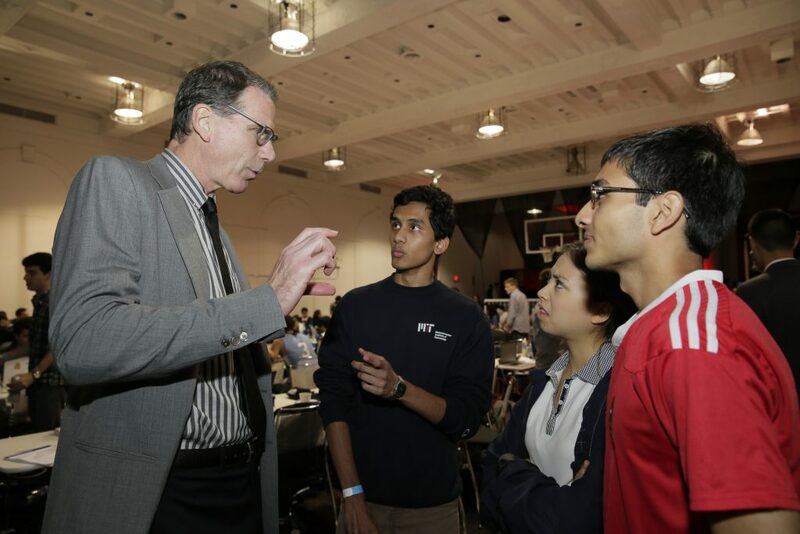 Kiki VanDeWeghe talks with competitors about their project before they present to the judging panel. 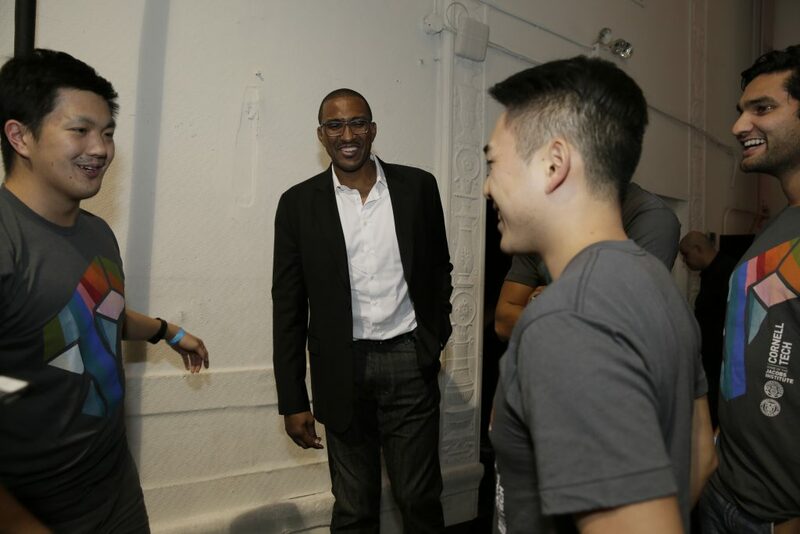 Shareef Abdur-Rahim speaks with a team from Cornell Tech. The five finalists presented to a judging panel of Zarren, Zach Bradshaw of the Detroit Pistons, Zach Lowe of ESPN, Mark Broadie of Columbia University, and Hao Meng from the NBA Strategy and Analytics Department. Mike Zarren, Zach Bradshaw, Mark Broadie, Zach Lowe, and Hao Meng discuss the finalist presentations. The top three finishers’ projects are described below. The first place team of Ella Kuzmenko, William Robbins, Zac Robertson, & Alex Wainger analyzed the difference in team-centric vs. individual-based playing style between the playoffs and regular season. They found that teams tend to play more selfishly in the playoffs, to the detriment of their offense. Chris Pickard and Senthil Natarajan classified players based on their “true” position, and used SportVU player-tracking data to analyze each NBA player’s relative defensive performance against each position to derive a measure of defensive versatility. Jason Liang, Allison Paul, Rishav Shah, and Sandeep Silwal built a model that leveraged SportVU player tracking data to generate an ideal position for each defensive player given the positioning of the five offensive players as well as the position of the ball. Their model generated the graphic below.